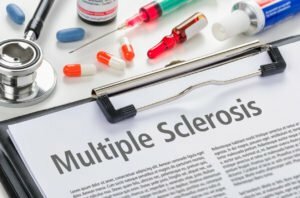 Struggling with Multiple Sclerosis Fatigue? Use These Helpful Tips. Struggling with Multiple Sclerosis Fatigue? Hired Hands Homecare Has Helpful Tips. Try to get the most nutritional benefit from meals at breakfast and lunchtime. Be sure to drink plenty of fluids. Focus on whole foods like fruits and vegetables, and stay away from simple carbohydrates. Foods high in iron, such as fish, eggs, fortified cereals and beans, can help fight fatigue. Implement and stick to a routine exercise program. Avoid the heat, try a cooling vest, and limit activities during hotter weather or do activities that cool the body, such as swimming. Expend energy on things that really matter, and accept assistance with the other tasks. Engage the services of a professional caregiver trained in MS care to provide a few hours each day of practical assistance. Hired Hands Homecare’s experienced, compassionate caregivers can assist in a number of ways to help fight multiple sclerosis fatigue. Call us at (866) 940-4343 to learn more about how our California in-home caregivers can improve quality of life for your loved one with MS through sharing tips and resources and providing hands-on care right in the comfort of home.